Learn how to make gallery quality needle felted sculptures with The Monthly Menagerie Felting Club. Each month professional artist and maker, Tracey Benton of Benton’s Menagerie, will be sharing one of her unique needle felted sculptures and showing you exactly how to make it. You’ll receive the same tools and materials that she uses, all wrapped up in a monthly subscription box with little treats and surprises tucked inside. The first series is a range of wall mounted woodland critters that have proved best sellers at galleries up and down the country. The Woodland Wall Series has been designed so that it is suitable for beginners as well as offering the opportunity for those of you with some felting experience to grow your skills. You’ll learn a new technique each month and the series is designed so that the projects becoming increasingly complex. The first series includes the following projects which will be mounted on wooden wall plaques: mouse, badger, hare, fox, red squirrel and fawn. A new series will be launched in October. Once you’ve subscribed you’ll be given your personal login details to the top secret members’ section of the Monthly Menagerie Felting Club. There you’ll be able to access highly detailed video tutorials, showing you, step by step, how to create your own woodland wall hanging. The videos are broken down into bite sized chunks, giving you the option to make your needle felted sculpture in one sitting or over several session. You can pause, rewind and fast forward. There’ll be plenty of close up shots too. For additional support templates and reference images will be tucked into your box so that you have everything you need to create your own wonderful woolly wall hanging. You’ll be invited to join the private Member’s Facebook page where you can share your fabulous finished projects and, once a month, members will be invited to join Tracey for a live Q&A session from her Devon studio. Benton’s Menagerie sells and exhibits work at selected UK galleries and shows and has been featured in Country Living and Period Living magazines. This is a flexible subscription box. If you only want to order one box, that’s not a problem. You can dip in and out or you can take advantage of the discounted 3 and 6 month subscriptions. Postage to the UK is included in the subscription price. There is an additional postage charge of £3.50 per month for overseas subscribers. Each project will be delivered in the month that it is due. So, for example, Mouse will be in the post at the beginning of October and the foxy box will be in the post at the beginning of January. Each project also has an order cut off date and you won’t be able to place your order after that date. 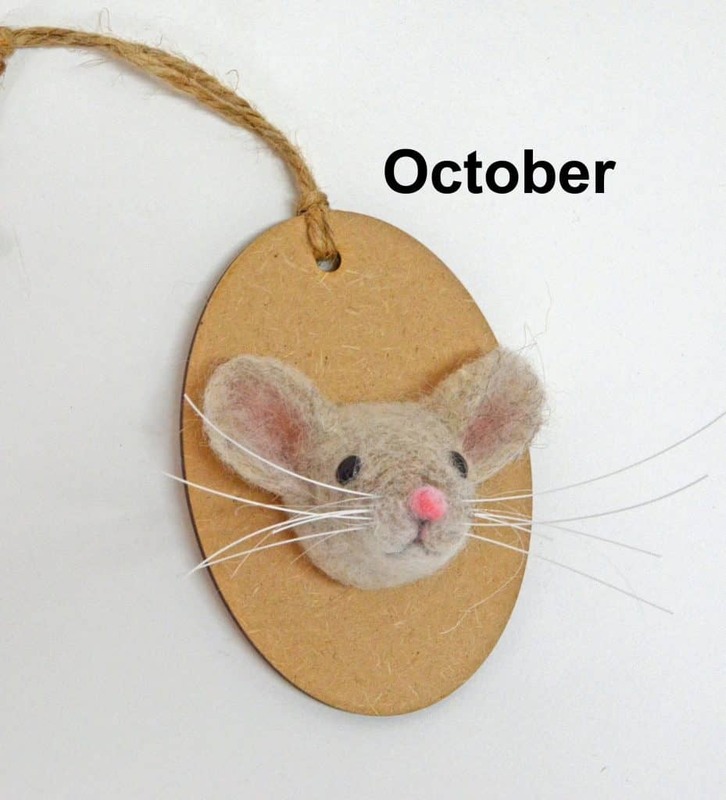 If you fancy having a stab at making mouse (terrible needle felting pun slipped in there) you must place your order by September 28th. After that he won’t be available for another 6-12 months. You can pre-order any of the projects or sign up to the newsletter to receive a wee reminder each month to let you know what’s coming next. Of course if you sign up to a 3 or six month subscription you don’t have to worry about deadlines as you will automatically receive your wee box of fluff and stuff each month. As a subscriber to the Monthly Menagerie Felting Club you can make as many copies of the designs that you wish for personal use. So you can make them for yourself and for friends and family – and what a fantastic gift they would make. You are not entitled to make any for commercial use. 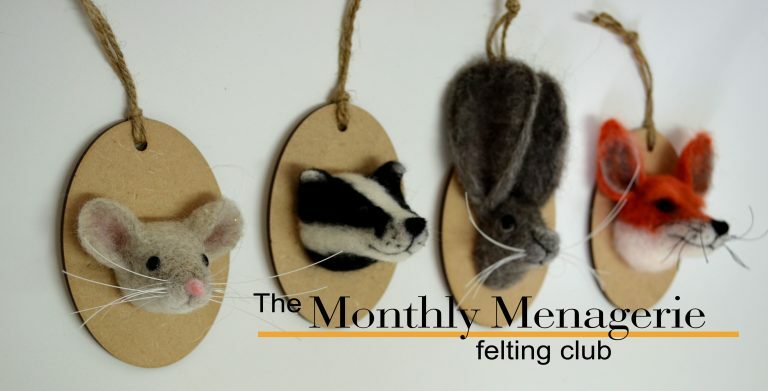 How would you rate The Monthly Menagerie Felting Club ?